Wanna replace your broken softball bats? Or just need to upgrade to better weapons than your opponents? We probably know the reason you are here. That is why we have created a list of Top 6 Best Softball Bats of 2018 after spending hours in cages and ask for help from our coach team. Several of these good softball bats are not for everyone because some may carry a hefty price-tag. However, these softball bats are good enough to make it to our list of the top 10 best Softball Bats 2018. To be more specific, we made the list of best fastpitch softball bats and best slowpitch softball bats. You may read these articles and tell us your thought. The overall construction of this all-new 2018 PXT fastpitch bat offers incredible power and performance when I tested it. 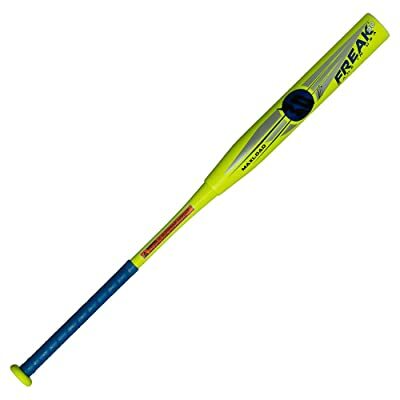 I consider this bat one of my top favorites as its reputable manufacturer assures that you can rely on it whether you are having small plays in your backyard, or engage in big tournaments. You can swing Louisville Slugger 2018 PXT X18 – 10 quickly because of its New ultra-light weight X-Cap™, a feature which also maximizes the length of the barrel and makes a larger sweet spot. It also utilizes the New PWR STAX™ barrel technology which is helpful in distributing the load on impact evenly across the whole barrel’s surface, maximizing the bat’s performance. Aside from these features, its design is 100% composite, and it has a barrel size of 2 1/4″ while the handle is standard 7/8 inch. The weight drop makes this bat comfortable to use for all batters, and you can also select one length, and weight you think fits your needs from its five available size options which are 34/24, 33/23, 32/22, 31/21, and 30/20. This product also received certification from ASA, ISA, ISF, NSA, and USSSA 1.20, so it is legal to use it in their competitions. From knob to endcap, I can attest that every single component of this material is very durable, and the features are unbeatable. Apart from that, this product also has an excellent graphics and appearance. Some claim that Louisville Slugger designed this product for elite batters. This bat combines light weight and durability because of its innovative technology which offers an enormous confidence to anyone who uses it. It is a new version of the CFX line up, and many batters whether expert or amateur can find this bat suitable for them. 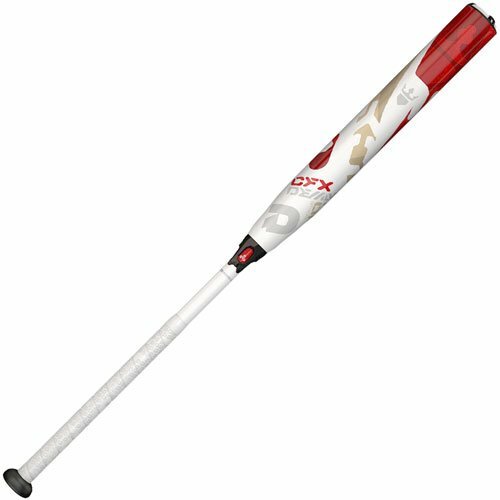 Just like Louisville Slugger 2018 PXT-10, this product also received approval for play in ASA, ISA, ISF, NSA, and USSSA. The Paraflex Composite Barrel Design of DeMarini 2018 CFX -10 makes the entire barrel 22% stronger while its weight ratio maintains its light weight. Because of its balanced swing weight, you will find this softball bat easy to crush. The Half+half 2-piece design helps lessen the effort when swinging DeMarini 2018 CFX -10. It also eliminates the negative feedback when you have mishits while at the same time, increases the sweet spot responsiveness. This bat has an RCK knob which assures that this bat will fit your hands perfectly. Another thing which makes this product unique is its 3-Fusion Technology. Its 3-F handle helps reduce vibration while transferring back the energy into the barrel. The 3-Fusion endcap, on the other hand, optimizes the bat’s control, weight, durability, and performance. The drop which is -10 is also one of the lightest among other types of bats. There are three colors available if you plan to purchase this product; these are White, Red and Gold while you can choose from the five sizes available which are 34/24, 33/23, 32/22, 31/21, and 30/20. This bat is a product of the renowned Easton softball bats. It is the successor of the previous Eastern MAKO, and I find it unique because it has a double barrel design which is an impressive feature because it gives excellent sound, feel, and pop to anyone who handles it. The inner barrel of this product produces an explosive sound when you use it while optimizing the bat’s overall performance. The outer barrel, on the other hand, is softer and eliminates the need for a break-in period. 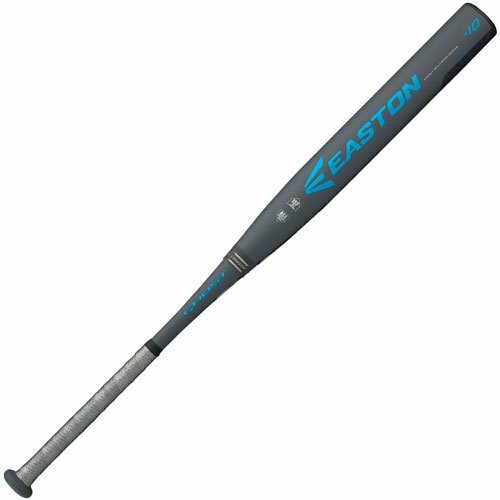 You can also rely on the strength and durability of 2018 Easton Ghost Double Barrel -10 as it utilizes Xtra Tough Resin Matrix (XTX) composite material. It has a thin 29/32 inch handle which is prewrapped with an HYPERSKIN Hex grip that is 1.22mm long and provides exceptional comfort. The barrel diameter of this bat is 2 1/4 inches, and it has an evenly balanced swing weight. The CONNEXION+ technology also helps reduce vibration while enhancing the overall feel of this bat.This product comes in five different sizes which are 34/24, 33/23, 32/22, 31/21, and 30/20. Indeed, this is another innovative product, but please remember that you cannot use it for ISA, NCAA, NSA, and USSA tournaments as these organizations did not approve it yet for play in their competitions because of its unique construction. This bat is known because its composite materials consist of two layers, and in between these layers is an air gap. This feature helps produce an excellent sweet spot responsiveness. The divergence barrel has a length of 13 inches, and it provides maximum performance especially when you hit low compression balls with high COR. DeMarini makes use of a design which is called “reverse hybrid,” a combination of composite barrel and aluminum handle, for this product which adds stiffness in the bat’s ZnX Alloy Handle. This increased overall durability and stiffness help the handle to flex less while forcing the barrel to have enhanced deflection. DeMarini ASA Flipper OG 17 also features a Dish End Cap, which is a design that is concave and produces further stiffness at the barrel’s end which is helpful in transferring the energy towards the Flipper OG’s sweet spot. This product has a balanced design with a very flexible handle. It is another latest softball bat of DeMarini in the Flipper series which also received certification from ASA, and I just love to use it because it gives an impressive ball-smashing experience that makes my opponents clueless about what I throw on them. 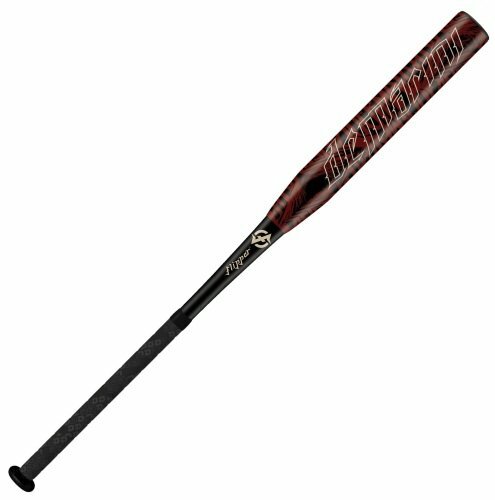 This bat is another quality product of Slugger. The Pure 360 composite construction offers an excellent performance and durability as it has composite fibers which are pure carbon. On the barrel, there is also a Grit Blast Finish which improves the bat’s back spin resulting in more carry and longer distance. The TRU3 technology, a patented feature of Slugger also enhances the connection system of the barrel and the handle by allowing them to move independently. This feature also helps in controlling the bat’s vibration which is important in keeping the acceleration through the impact. Because of the controlled vibration, this same technology offers a feel on contact that is so incomparable with other bats. It prevents hand stings as it causes the vibration coming from miss hit balls to absorb partially before reaching the batter’s hands, and I found this unbelievable when I first encounter it. This product has a barrel length of 12 inches, and a barrel diameter of 2 1/4 inches. The handle is a tapered one which measures 7/8 inches. It also approved for tournaments of USSSA, NSA, and ISA. Louisville Slugger Z4’s stiffer connection also improves power transfer. This bat is the type of product which I think fits for players who want a swing that has a real smooth feeling and produces a great pop. The most distinctive attribute of this product is its Triple Matrix Core+ technology which enhances the aerospace grade material by increasing its volume by five to 15%. This feature eliminates wall seams and is made possible by a new carbonized process. All these properties give this slowpitch softball bat its optimum durability and performance. Aside from these, this bat makes use of a technology called Flex 2 Power (F2P) which enhances handle flex. This feature also improves the bat’s speed by increasing it through the hitting zone, allowing maximum power and long distance of the ball flight. The 100 Comp feature of this bat is a revolutionary feature in the softball bat industry that makes it an excellent equipment which makes use of 100% premium aerospace grade fiber to offer the highest possible performance. Miken Freak 30 also received approval for play from ISA, NSA, and USSA. It has a barrel length of 12 inches while its barrel diameter is 2 1/4 inch; on top of this, this bat also has a 0.5-ounce max load for the product’s raw power. This hot out of the wrapper bat has fully composite construction. Some friends of mine also claim that it swings smooth, and it has good pop. If you are purchasing a bat for the first time, you may have lots of questions in mind and these things paralyze you in making up your mind. Will you look for appearance? Do you need the lightest one? Or the longest perhaps? So you try to surf the net but the results you see online bombard you with countless products saying that what they have is the best ones for you. However, you want to make sure that what you are going to buy is worth every penny, so what is the secret to choosing right product? The secret is that there is no secret. What you need is to avoid buying out of excitement or impulse. Stay calm and read the guidelines I am about to discuss. There are several materials manufacturers use when they make softball bats. The most common ones are aluminum and composite bats. These two types of bats have their advantages. Composite Bats – These types of bats are lightweight because of their graphite construction, so you may find them easy to swing. Many batters also find these smooth to handle which gives the player an improved speed when crushing. Also, composite bats help reduce vibration, and they are durable too. Aluminum Bats – These are thin and robust ones. Apart from these, aluminum can also enhance the sweet spot of the barrel’s hitting zone, producing longer distance when you crush it. These bats usually come in two types. The first one is the single-layered while the second, double-layered, is typically more powerful and long-lasting. The lengths of softball bats usually range from 24 to 34 inches. Many experts suggest you need to choose one according to your age. 24-29 inches ones may be suitable for ages five until ten while 30-34 inches may work well for ages 11 and above. You can also make use of a different approach by choosing a length of your bat based on your weight. Some batters recommend buying 24-31 inches bat for people who weigh under 60 pounds until 80 while people weighing above 80 may find 32-34 inches softball bats more appropriate for them. You can also consult other several charts online. You may have come across different bats which say that they have a drop of -8, -9, -10 and so on. If you are an experienced softball player, you surely know what this figure means. For beginners, these numbers refer to the difference of the length of the bat (inches) and the weight of the bat (ounces). Another popular term batters use to describe this number is “Weight Drop.” Thus, a bat that has a size of 34/24 has a weight drop of -10 which is the most preferred drop for solid single hitters. Powerful hitters may find -8 or -9 more fitting for them. There are other factors apart from the length and the weight that you need to learn about the softball bat that you are planning to purchase. One of these considerations is the bat taper which is a term that softball players use to refer to the handle’s diameter. Narrow diameters make it easy for players to rotate the bat, while larger ones can offer more power. You may also come across the term “barrel” size which merely refers to its length. The bat’s grip is the covering that comes along with the bat’s handle, and rubber grips offer firmer grip while the swing weight refers to the ease of control when swinging the bat, and it can be either balanced or end-loaded (also known as “top heavy”). Bats with balance points near to its handle are easier to swing than those that are not close to it. These two varieties of softball bats differ in uses, sizes, and weight; you may already be into one of these softball types, but if you are a beginner, it is a must-know requirement before getting a bat. Softball bats players use for fast-pitch softball usually come in one-piece or two-piece, and the former is stiffer and stronger than the latter according to some. If you use a slowpitch bat in a fastpitch softball game, it is more likely not going to break it, but the weight may significantly affect your ability to hit. If you use a fastpitch softball bat in a slowpitch game, it is more likely to get damaged as fastpitch softball bats are usually thin. Choose the right type of bat that matches the type of your game. There are several softball associations in the United States. While you may be familiar with most of them, it will still be better to check their regulations as each of them has their limitations and rules for the particular weight, length and type of softball bat you plan to use. Most associations require that the bat must be 2 1/4 inches in diameter and has a maximum weight of 31.5 ounces with a length that is 34 inches. So after all the things we discussed and all the products we reviewed, what is my final say? What I can conclude is that the type of bat you find best depends on your style and preferences. As with any product, there is no perfect softball bat, and I can attest to that. No single brand or version of softball bat can beat the one that you find more comfortable to use. And for me, that would be Louisville Slugger PXT go for the best fastpich softball bat 2018 and Louisville Slugger Z4 go for the best slowpitch softball bat 2018. Aside from its wide range of options and good looking graphics, I find it the best when it comes to durability and the technology that its manufacturer uses to assure it gives good swing, incredible control, and impressive comfort when gripping. What is your favorite softball bat? Let us know in the comment.